If you're searching for a casual yet sharp getup, wear a Nuur merino sweater and white shorts. Both pieces are totally comfortable and will look great paired together. When it comes to shoes, this ensemble is finished off brilliantly with black slip-on sneakers. If you enjoy a more relaxed approach to fashion, why not try teaming a Nuur merino sweater from farfetch.com with blue jeans? If you're on a mission for a casual yet on-trend outfit, make a black crew-neck sweater and black jeans your outfit choice. Both garments are totally comfortable and will look great paired together. 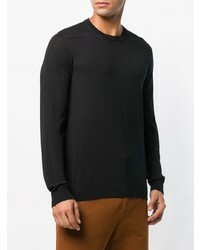 If you're scouting for a casual yet sharp getup, team a Nuur merino sweater from farfetch.com with black chinos. Both garments are totally comfortable and will look great paired together. Grab a pair of white low top sneakers to make the getup more current. 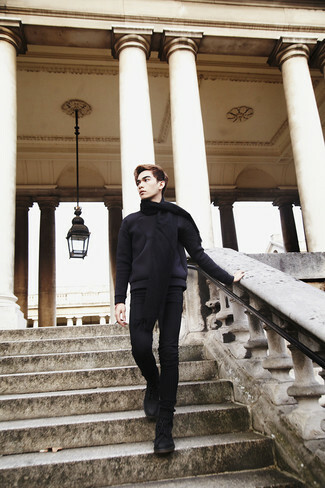 For a nothing less than incredibly stylish getup, consider wearing a black crew-neck sweater and grey wool dress pants. 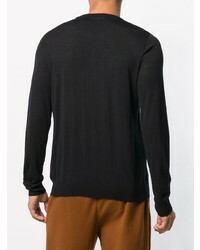 If you're on the hunt for a casual yet dapper getup, dress in a Nuur merino sweater from farfetch.com and grey sweatpants. Both garments are totally comfortable and will look great together. Bump up the cool of your look by complementing it with black leather monks. 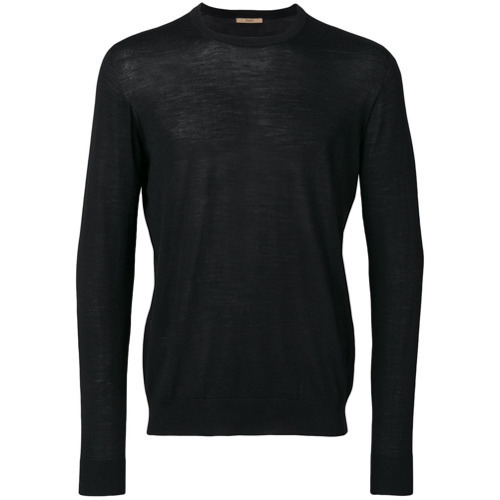 If you're on a mission for a casual yet sharp ensemble, wear a Nuur merino sweater and black skinny jeans. Both pieces are totally comfortable and will look great together. 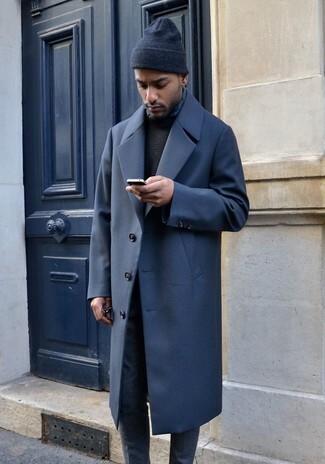 Wearing a pair of black suede casual boots is a simple way to add extra flair to your getup. 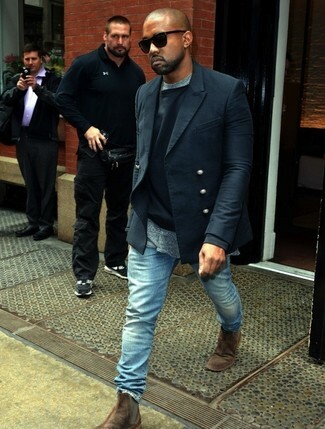 If you're looking for a casual yet dapper outfit, wear a black crew-neck sweater and light blue jeans. Both garments are totally comfortable and will look great together. 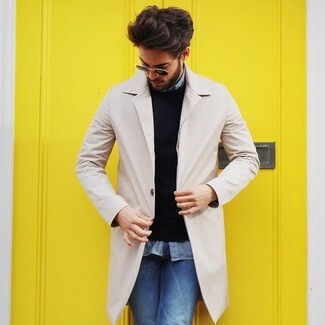 Lift up your getup with brown suede chelsea boots. 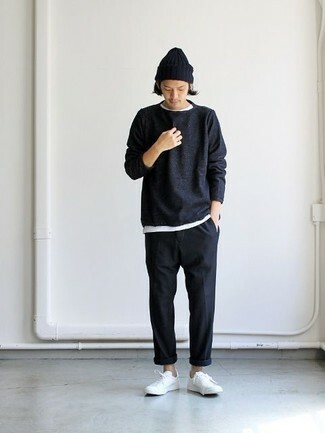 This pairing of a Nuur merino sweater and black chinos spells comfort and style. 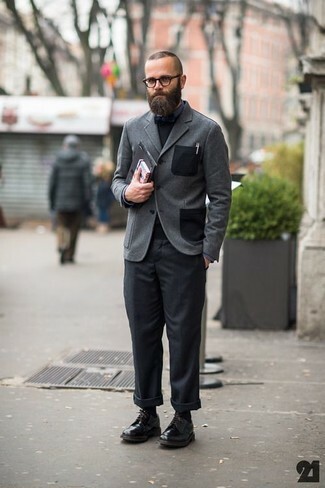 A pair of black leather derby shoes will add some real flair to this getup.